With advanced persistent threats on the rise many organizations are looking for next-gen endpoint solutions to protect their users and devices. But with the majority of vendors claiming to offer next-gen solutions it can be difficult to separate the ‘must have’ features from the merely average. Add in confusing and sometimes conflicting terminology and it gets even harder. 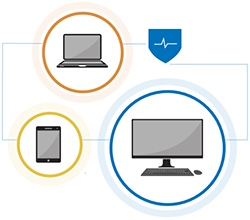 This paper looks at why organizations like yours need next-gen endpoint protection. It also explains in straightforward terms the features that every true, next-gen endpoint solution should have and how they keep your users and systems safe and secure.